Nokia Catwalk to strut its stuff on May 15? Like this but EVEN NICER? Is that even possible? An anonymous tipster who goes by the sobriquet South has revealed that Nokia is set to reveal the Nokia Catwalk on May 15. South, who could have chosen a cooler moniker, let's face it, didn't have much more to say from him/herself beyond that, other than that the launch will take place in London, UK. The news came by way of My Nokia Blog, which says it has had accurate information from South before, although it doesn't say exactly what so we'll just have to take their word for that. 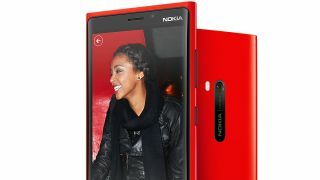 It's not the first time we've heard tell of the Nokia Catwalk, said to be the follow-up to the Nokia Lumia 920. We're excepting a thinner, lighter body thanks to the use of aluminium instead of the 920's polycarbonate. Aside from that, the last report suggested that the specs will be pretty similar to the existing Lumia 920. It's been a while since Nokia busted out a high-end handset - MWC 2013 was all about the mid-range for the Finns - so May isn't too ridiculous a date to expect a hotter Lumia to hit. But since we can't verify the source and Nokia's keeping schtum, you'll have to file this one under 'perhaps, perhaps, perhaps'.